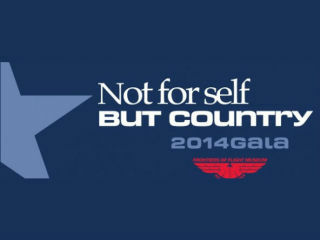 The Frontiers of Flight Museum Gala, themed “Not for Self, But Country,” will present the 2014 George E. Haddaway Award to co-honorees Admiral Patrick Walsh (Ret.) and former Navy officer Roger Staubach, who will be recognized for their service and achievements in the United States Navy and their lifetime contributions and service to their communities. The awards ceremony will be a highlight of the evening with Ross Perot serving as the guest presenter.